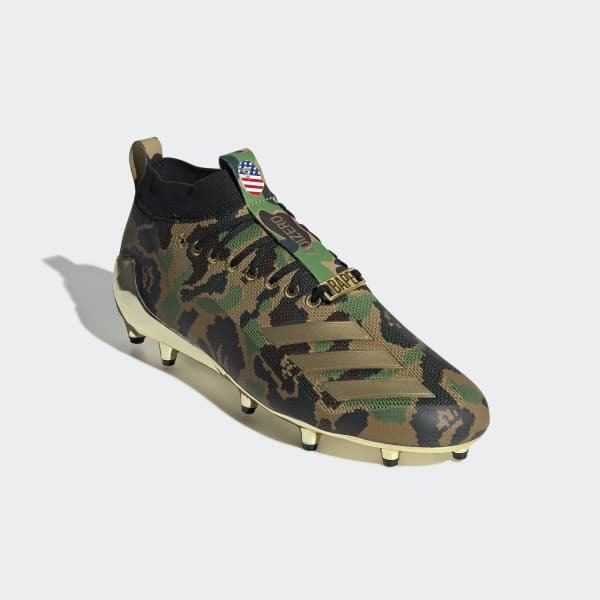 Camouflage-print cleats celebrating A Bathing Ape®. Flashing an iconic camouflage-print pattern, these American football cleats are designed in collaboration with A Bathing Ape®. Designed for convenient entry, they feature a textile upper that hugs the foot for enhanced support and fit. The cleated outsole offers extra grip for quick cuts and pivots.